If you have questions about any of the MiraBay homes for sale please give me a call. I can guide you in the right direction and answer question like who was the builder, the builders quality of construction, what to buy and not to buy… Because I know MiraBay and Apollo Beach so well, I can educate you and save you a lot of frustration. Plus – my services are FREE to you as a home buyer. 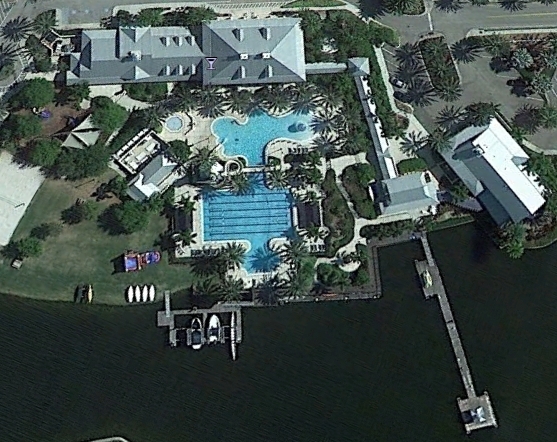 If you're a boater, or like to enjoy what Tampa Bay has to offer for families — or just enjoy the water in general — you'd be hard pressed to find a development with more to your liking than the 750-acre waterfront community of MiraBay. Homes for sale in MiraBay feature true resort-style amenities within a family-friendly, secure, gated community designed by the same developers as Fishhawk Ranch and Waterset — Newland Communities. MiraBay backs up to the 1,300-acre Wolf Branch Creek Nature Preserve, and its homes are set close enough to the city to enjoy all the art and culture Tampa has on offer — but far enough off the beaten path to enjoy a little down-time in a relaxing setting. The developers call MiraBay “like being on vacation every day,” and it's the truth. Like a lot of developments around the Tampa area, MiraBay homes for sale come packed with amenities; lighted tennis, basketball, and sand volleyball courts are provided, and kayaks, paddleboards and sailboats are available through the Outfitters Bait and Tackle Shop. The MiraBay Club, the 10,000 square foot centerpiece of this planned community, offers a year-round swimming experience, including a water slide, beach entry, and dedicated lap lanes — as well as a detached kiddy pool. There's a café offering poolside meals and a “build-a-burger” bar, and a well-appointed fitness center nearby to work it off — high-end weight training equipment, matched with the latest cardio gear, personal trainers and group fitness classes help keep residents with an active lifestyle nice and active. And at the other end of such things, the MiraBay Club Spa offers a wide assortment of treatments — the spa menu includes aromatherapy massages, oxygen facials, Swedish massages, and traditional facials. For the “parent's night out” (or any other time) there's child care, too. The homes for sale at MiraBay are everything you'd hope for in a waterfront “Old Florida” style development: generous colors, metal roofs and shaded porches, with a selection that spans from townhomes and villas to custom luxury estates. Many sit overlooking a 135-acre freshwater lagoon with a serene wildlife population that has to be seen to be believed — and, thanks to a community boat lift that can handle lengths up to 35 feet (and 26,000 pounds), lagoon-front homes with docked boats get easy, simple access via saltwater canals to Tampa Bay. Just a half-hour by car (or boat) to South Tampa, St. Petersburg and Sarasota, MiraBay homes for sale include several certified “green” homes that cost less to operate and are better for the environment. If you'd like more information about MiraBay or would like to learn about other great developments with homes for sale in the area, please give me a call at 813-317-4009 or send an email any time; I'm more than happy to help you start looking and find the home that's right for your needs — and remember, my help comes at no cost to you.